Congrats to the Scarecrow Tales Winner! First of all, congratulations to Marisa from Westfield, NJ (TRO User ArrowOfApollo) who was the random winner of the Batman: Scarecrow Tales tpb giveaway. Marisa also blogs at Geek Week and has a personal website here. Sorry for the slow announcement this time, we had to go a couple spots down the list because I didn’t get a response from the original picks. Make sure to watch your email closely after entering in a giveaway, folks! The book will be going out tomorrow. I’ve upgraded our WP_Minify plugin which may help the site load a tiny bit faster. We’ve increased the amount of memory allocated by our private server, which should help handle larger loads. Let me know if you run into any 500 errors while browsing! A few database updates – not my main focus today. 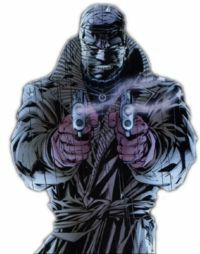 Absolute Sandman 2 (Cover, tags, and publication information). I’m assuming there are at least a couple hundred more printings that will show up as we comb through various sources after we’ve finished the ones we’ve got something on now. Then I’d like to add character tags and creator tags before uploading to the database. Every book has at least one of each of these already, but I’d like to flesh it out bit more. I’m hoping to get this up by the end of December. A bunch of half priced DC hardcovers up on ebay plus a lot of Sandman softcovers (1-10) currently at 99 cents. These are from the same guy I buy from all the time (though he changed his seller name to “Barcodescan”) – he packs well and ships quickly. I know a couple of you haven’t read sandman yet, so that’s a good way to get into it. I got a lot of the books of ebay a few years back myself – never regretted it.